We proudly present to you the brand new Film1 Android and iOS app that is developed and designed around a concept that we call Liquid Design; a new and modern viewing experience. 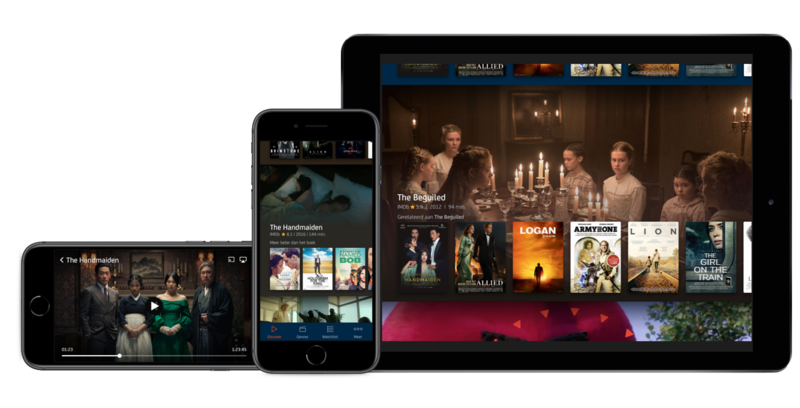 Users can always watch the latest and most exclusive films on their own terms, wherever and whenever they want. Liquid design makes discovering the exclusive offer of Film1 easy and personal by giving subscribers recommendations based on their viewing behavior. Moreover, users can easily search and select content based on a genre layout. The onboarding process, inspired by Tinder, is playful and easy; users can swipe right and left to indicate their movie preferences. For the optimal user experience, the app plays highlight videos on the discover feed and on the detail page automatically. It also remains possible to look linearly at the channel Film1 Premiere.